Not only are our Pumpkin seeds high in antioxidants and minerals but only one ounce of Pumpkin seeds contains almost twice as much iron as three ounces of skinless chicken breast! • A great source of protein, magnesium, iron, calcium, and vitamins E, C, & B-6. • Like this mix? Try our Raw Pumpkin Seeds! 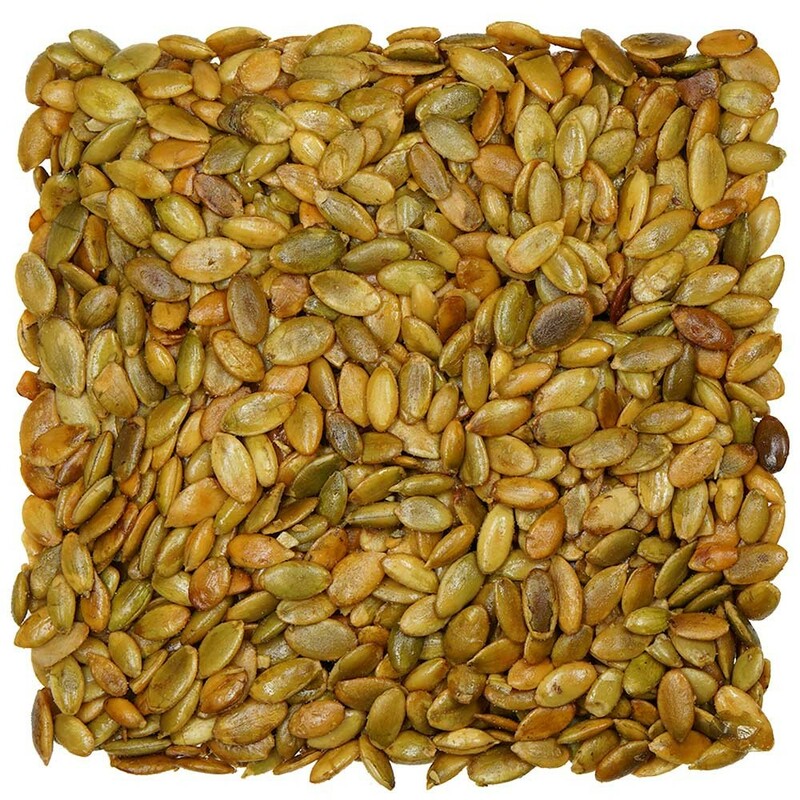 These nutritionally dense seeds were used by native Americans for their medicinal qualities as far back as 7,000 B.C. They are still popular in Mexico where they are commonly referred to as pepitas. As these seeds age their nutritional density and protein levels increase, which is a rare quality when it comes to food. Pumpkin seeds are also the only seed that is alkaline forming after digestion to help raise ph in the body. ANTIMICROBIAL BENEFITS: The pumpkin seeds have a long history of being valued for their anti-microbial, anti-fungal and anti-vital properties. It is the unique proteins in the pumpkin seeds that are at the core of the antimicrobial benefits It is the properties of the seed protein and phytonutrient lignans that contribute to the antimicrobial benefits within this food. ANTIOXIDANT SUPPORT: Pumpkin seeds antioxidant qualities come from the different forms of vitamin E you get relative to other seeds and nuts. Alpha-tocomonoenol and gamma-tocomonoenol were recent discoveries and in cutting edge research due to their bio-availability being greater than other forms of vitamin E. You will also find antioxidants like zinc, manganese, lignans, and phenolic antioxidants. It is this wide variety of antioxidants that differentiate the pumpkin seeds, as you will not find those related properties in many foods. MINERAL SOURCE: Pumpkins come from a vine that keeps them close to the soil that tend to make them an abundant source of minerals nutrients. 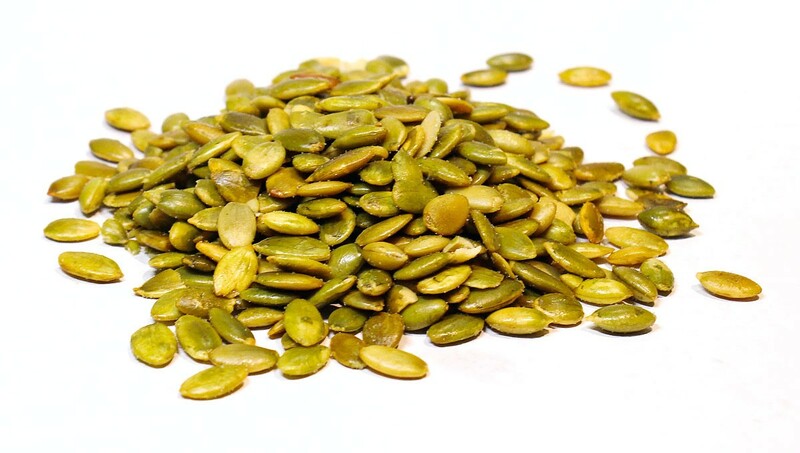 Pumpkin seeds are an excellent resource for zinc and contain higher levels than many other foods. The majority of the zinc is in the endosperm envelope of the seeds so consuming them unshelled can be extremely beneficial. However, you still get the benefits by having them in your diet. You will also find them a fantastic source for phosphorus, magnesium, manganese, and copper and iron. TOP KITCHEN USES: Pumpkin seeds can be a great addition to almost any dish. They are an excellent topping on salads, steamed or stir fried veggies, power bars, desserts or even on top of frozen yogurt, ice cream or a morning fruit bowl. 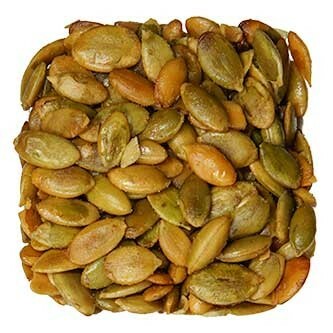 Pumpkin seeds can be consumed raw or roasted and are used very often in a vegetarian, vegan or raw diet. When storing your pumpkin seeds at home, just like with all foods make sure that the bin or container is completely sealed to ensure maximum freshness. Keep them away from moisture to ensure they do not go rancid.